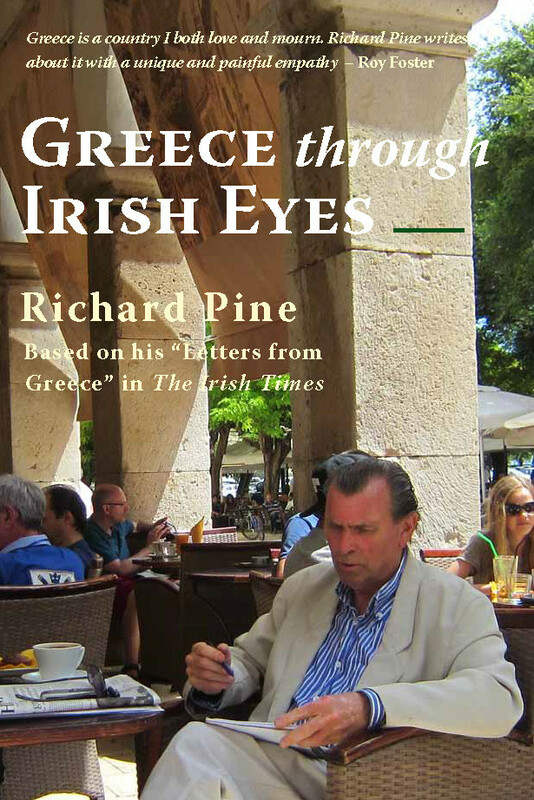 Greece through Irish Eyes is an insightful personal view by Richard Pine of the country where he has lived for the past 15 years. One of Ireland’s leading literary critics, Pine’s trenchant, provocative arguments acknowledge both the strengths and the weaknesses of Greece today, and draw suggestive parallels with the Irish situation. In particular, Greece through Irish Eyes examines the shared history of Ireland and Greece in wars of independence and civil wars; in the pandemic of clientelism; in the Church/State nexus; in the power of political dynasties; in economic crises. Richard Pine also calls for a major rethink on Greek and Irish positions on Europe. The parallels between Ireland and Greece may make some readers uncomfortable, but they are substantiated by solid examples of cultural, economic and historical differences which argue against integration into a centre-dominated Europe.